There has been a tremendous amount of debate about building walls to stop illegal immigration. But the IRS is building walls to keep Americans in. The US government is cracking down on Americans with outstanding tax bills by revoking passports. The IRS says 362,000 Americans with “seriously delinquent” or overdue tax payments will be denied passport renewal if they don’t pay up, according to a report by Time. A law passed in 2015 empowered the IRS to block passports if a person owes more than $51,000. As former congressman Bob Barr put it, the IRS is starting to use this hammer. According to the Time report, the IRS has been sending the names of tens of thousands of “violators” to the State Department. You could even find your passport revoked if you’re already overseas, although you may be eligible for a limited passport for a direct return to the US. Meanwhile, more and more Americans are considering renouncing their citizenship due to onerous taxes. Last year, 5,132 gave up their citizenship. That was just 277 below the all-time record of 5,409 set in 2016. It’s no mystery why Americans living abroad willingly sacrifice their citizenship. United States tax laws are extremely onerous. The US is one of the few countries that forces its citizens to pay taxes on income earned abroad, no matter where the individual permanently lives. On top of that, the tax paperwork is extremely complex. Peter Schiff left the US and established residency in Puerto Rico for this very reason. Since it is a US territory, Puerto Rico offers some of the tax advantages of living abroad while allowing residents to maintain citizenship. Peter talked about his move in a 2015 Gold Videocast. 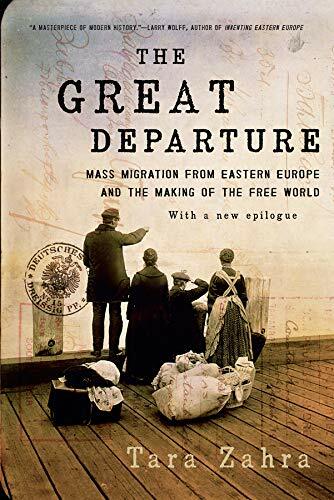 Ryan McMakin at the Mises Institute put together an interesting history of US emigration control published at the Mises Wire. It is reprinted in full below. Fitzgerald’s work specifically focuses on pre-1970s Mexico as a case study in emigration control. Mexican nationalists had long yearned to prevent emigration by a variety of means, fearing both domestic labor shortages and “national humiliation” caused by large outflows of emigrants. In 1904, for example, “Mexican federal and state authorities ordered municipal governments to stop issuing travel documents used by U.S.-bound workers.” Similar measures were used over the years, but Mexico’s liberal constitution, and the realities of a decentralized political system, made it difficult to control emigrants. Often the agents were accused of human trafficking or of swindling their customers. It is likely that these accusations were true some of the time, but the motivation behind efforts to discredit these travel agents appears to have been more nationalism than consumer protection. In some cases, as in Russia, an “emigrant” passport was available only after paying a stiff “fee” and the document was a one-way ticket out of the country. Return was forbidden, and ensured an emigrant was cut off from family ties. It also meant the emigrant risked statelessness if unable to enter the destination country. The Russian distaste for emigration, of course, brings to mind the years of the Iron Curtain when emigration controls were used across Eastern Europe. Indeed, when modern people think of recent emigration-control efforts, they tend to think of the Berlin Wall and the communist world in general. But these controls weren’t limited to communist countries. The Nationalist Chinese regime in Taiwan was known to use emigration controls up until the 1980s. Nor did taxation of non-citizens exist until the twentieth century with the advent of the income tax. There had been efforts to tax all emigrating American citizens indefinitely before this. But it was only after the passage of the sixteenth amendment, and the Supreme Court’s ruling in Cook v Tait, that taxation of American emigrants became well-established in American law. In the United States of 2018, though, you’re only free to leave if the IRS says so — and as long as you keep paying taxes to the US government indefinitely, no matter where you are. Many of the anti-emigration laws of nineteenth-century Europe looks positively enlightened in comparison.